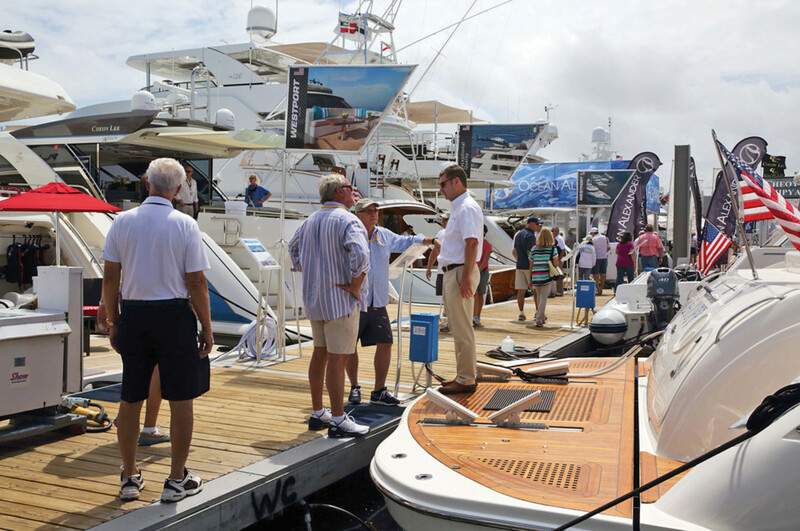 Growth in home ownership and gains in other economic yardsticks bode well for boat sales. President Donald Trump is off to a slow start legislatively and the prospects for the new president’s policy agenda appear uncertain, but the signals American consumers have been sending are sharp and clear. “This will put some backbone in investment spending and make this economic expansion more sustainable,” Rupkey added. New-home sales were at a seven-month high, and they showed that a recent increase in borrowing costs had not significantly weakened the market. Job growth and pay gains were helping home buyers shrug off higher mortgage rates. As Bloomberg reported, the new-home market was building on the momentum of 2016, which marked the strongest performance in nine years. Noting that new-home sales are tallied when contracts are signed, Bloomberg said they represent more timely information than reports on sales of existing homes. The home resale market did not fare as well in February. Sales fell 3.7 percent, to a seasonally adjusted annual rate of 5.48 million from 5.69 million in January, although the National Association of Realtors said February’s pace was 5.4 percent higher than it was in the same month last year. Consumer confidence remains high. The Conference Board’s Consumer Confidence Index rocketed to a 16-year high of 125.6 in March as Americans’ opinions of current business and labor market conditions “improved considerably,” said Lynn Franco, the board’s director of economic indicators. Multiple aspects of the monthly survey trended in a positive direction. The Conference Board said consumers’ appraisal of current conditions improved considerably in March. The percentage of respondents who said business conditions are “good” increased from 28.2 percent to 32.2 percent; those who said business conditions are “bad” decreased from 13.4 percent to 12.9 percent. MarketWatch said the gains cut across most regional and income groups — the higher a household’s income was, the higher its consumer confidence reading. The University of Michigan’s Consumer Sentiment Index was not as high at the end of March as it was two weeks earlier, but its 96.9 reading topped February’s results. Once again in March, the survey picked up significant static that reflects the country’s political divide. “The continued strength in consumer sentiment has been due to optimistic views on three critical components: higher incomes and wealth, more favorable job prospects and low inflation expectations,” Richard Curtin, chief economist of the university’s Surveys of Consumers, said in a statement that accompanied the results. Revealing rising uncertainty as well as rising optimism, the data “indicate that real consumer spending will advance by 2.7 percent in 2017, but those gains will be uneven over time and across products,” Curtin said. Consumer spending was up only slightly in February, but analysts speculated that delays in the mailing of federal income tax refunds had something to do with that. “Given the weather-related weakness in utilities spending, as well as some delays in tax refunds for low- and middle-income earners in February, we expect consumer spending to strengthen in the quarters ahead,” Eugenio Aleman, a senior economist at Wells Fargo Securities in Charlotte, told Reuters. The Commerce Department said personal income rose a strong 0.4 percent in February after an 0.5 percent gain in January. With consumer confidence also rising, the business outlook remains good as true spring weather begins to take hold across the country. “It’s hard to be concerned about consumers when jobs and confidence are doing what they’re doing and balance sheets are in such improved shape,” Ted Wieseman, an economist at Morgan Stanley, told MarketWatch. The Federal Reserve, which raised its benchmark short-term interest rate by a quarter-point — to a range of 0.75 to 1 percent — at the mid-March meeting of its policy-making Federal Open Market Committee, also predicted two more similarly sized increases this year and three next year to help keep inflation in check. The Fed also forecast that the nation’s GDP will grow 2.1 percent this year and next. If that happens and the unemployment rate remains in the sub-5 percent range, the country could for a time enjoy a so-called “Goldilocks economy” — neither too hot nor too cold, featuring moderate growth and low inflation.